Pedometer Blues: Am I Sedentary? We’re doing a pedometer challenge at work and I’m losing. One of the greatest things about my new position at work is that I get to be in a sunny office with a window. This office job is slower paced and less stressful than when I was working in the after-school program setting. I’m also lucky to have a boss that supports and exemplifies work-life balance. Last week, my co-workers were all discussing how many steps they take a day. They have all used different tracking apps on their phones and accessories like FitBit or whatever thing Nike created. I have never tracked my steps. Ever. 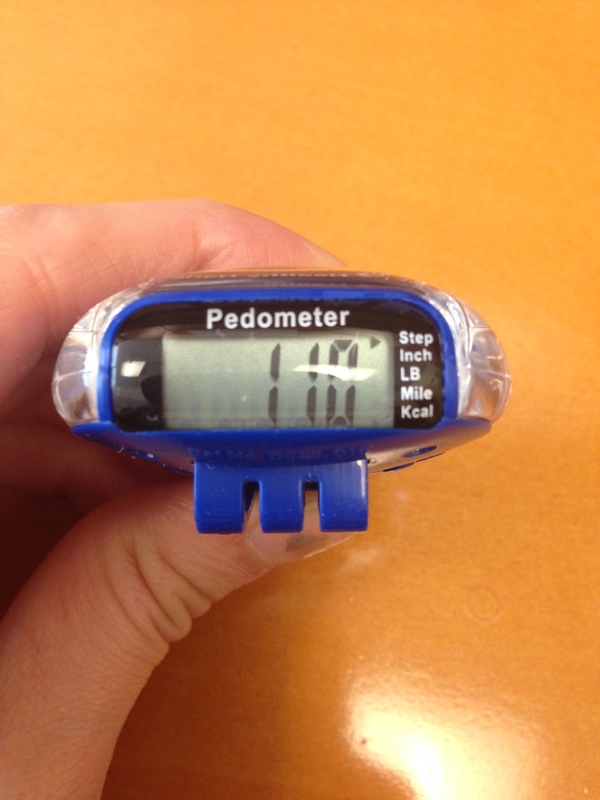 So when my colleague launched a pedometer challenge for the office, it sounded like fun. I would get to see how many steps I take every day for the first time. Fast forward to the first day of the challenge. Some of my colleagues had like 3,000 steps by lunchtime while I had a paltry 600ish. This led to me power-walking to graduate school and doing household chores in the evening to try to make up some steps. I had a 3 hour class, okay people? I tried. The first day I only made around 5,200 steps while one of my colleagues who exercised in the evening and the morning made more than 16,000 steps! So I am definitely losing. Now we’ve all heard of the golden rule of 10,000 steps. While there is some debate about whether you can apply the same goal to every single person (you can’t), I think it’s a good rule of thumb for me as a young, fairly active person. 4) 10,000 steps/day indicates the point that should be used to classify individuals as “active”. 5) Individuals who take more than 12,500 steps/day are likely to be classified as “highly active”. OH GEEZ. AM I SEDENTARY? In the health world, sedentary is like an evil word. A sedentary lifestyle?! We all know where that leads. I’m a little freaked out by these results, to be honest. New hearing aids? It’s supposed to be an exciting time but it’s usually full of discomfort and adjustment. 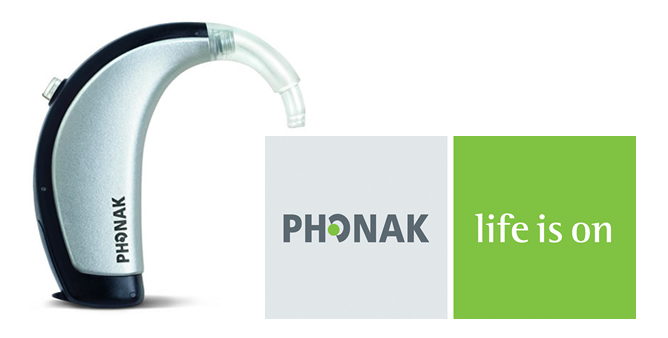 I recently blogged about switching to Phonak water resistant behind the ear hearing aids. When I got them, we programmed them and I took them home. New hearing aids usually make the world sound foreign and strange, so I was prepared for that. What I wasn’t prepared for was the fact that the hearing aids weren’t reducing background noise. This is the main benefit of my previous hearing aids- they reduced background noise and amplified conversation. I rode on the subway with the Phonak aids and felt like I was on a rollercoaster. The machinery noises overpowered the conversation of my friends and I felt out of place. At the movies, the new hearing aids did amplify sound well and I think I was able to hear better. Otherwise, the Phonak aids weren’t going to work for my everyday life because most of life revolves around conversation and talking. Another issue was the placement of the hearing aid behind the ear. I thought they were going to be like my old hearing aids when I was young. These aids went all the way behind the ear and were kind of long. The Phonak aids were short and sat almost on top of my ear. I had gotten them in a clear color which I thought was going to look really cool- see through, yeah! But it looked weird sitting on top of my ear. So I’m getting them re-cased in black so they’ll blend in with my hair. After that, we’re going to re-program them and see if we can improve the sound experience. I really want to like the new hearing aids, and I really want them to work for my life. Until, then I’ve got my trusty Widex ones to hold me over. Maybe one day I’ll invest in these amazing iPhone compatible aids that are soon to be released. These utilize the iPhone as the transmitter- no intermediaries or neck loops needed. Very cool!!! What have been your experiences when getting new hearing aids? How have you managed the transition? P.S. Grad school has taken over my life, but I don’t want to let this blog fade away. Hopefully I’ll be posting more soon. This warms my heart. Martial arts was HUGE part of my self-development. I hope to train again (there is a karate class at my job- lucky me!) but I do not feel as confident due to my peripheral vision loss. Giving blind and visually impaired students the opportunity to study karate is a wonderful thing. Wonder if there are similar efforts in the United States. Read and support! I, Sensei Mike Dunn launched Liverpool Karate-Jutsu in December 2010. In March, that year I had been awarded my “Shodan”, Black Belt in Freestyle Karate-Justu. I had restarted in martial arts at the age of 43, having previously trained in karate for 3 years, 25 years earlier. I also studied for and took an Instructors exam, so that I could start my own karate club. I could not have done this without the support of my fiancée Christine, my own Sensei (Neco Bulut) and Andrew Morrell of the Cobra Martial Arts Association (CMAA). Liverpool Karate-Jutsu’s primary Dojo is based at St Michaels Church Hall in Aigburth, Liverpool and is a community karate club that has always attracted great kids, teenagers and adults. The karate club was already well established when Stephen joined the karate club in June 2012. Speaking at the #Latism13 conference! Should I bring my cane? I’m speaking at the #LATISM national conference for the second year in a row- very excited about this opportunity. LATISM stands for Latinos in Social Media and it’s a wonderful group of people who are engaged in supporting each other and having an impact. I’ll be speaking on a panel about Latinos and obesity that will focus on the generation of solutions. Our families and children need healthier outcomes, and they need them NOW. I really hope that many people will attend both the conference and this panel. Register here and get 15% off with EARLYBIRD code until August 1st. Yay! Now on to my other question! Should I bring my cane? Conferences are huge and confusing and you’re constantly navigating in unfamiliar spaces. Since I have been embracing being open about Usher Syndrome, it might be a good personal challenge for me to bring my cane with me. It would open some dialogue and connections with others in a new way. This will be my third time attending the conference, so there will be that awkward moment of “hey, you’ve seen me before but without a blind cane.” There are many repeat attendees who I already know. One young woman is very inspirational in being open about her disability. Her name is Laurita Tellado and she has spina bifida. She’s an advocate for awareness and has a great blog. Sometimes, she’ll attend an event in a wheelchair and sometimes she won’t. Everyone loves her and interacts with her comfortably, no matter what. It’s a great example to see. I wonder what it would be like to attend with a cane. It would be easier to navigate the space and the crowds. I don’t have enough experience with it at the moment to feel confident using it, but I am due for more training this summer. I think it takes courage to use the cane as well, since you will appear different and not everyone understands that there are degrees of vision loss other than complete blindness. I will definitely continue to think about this. 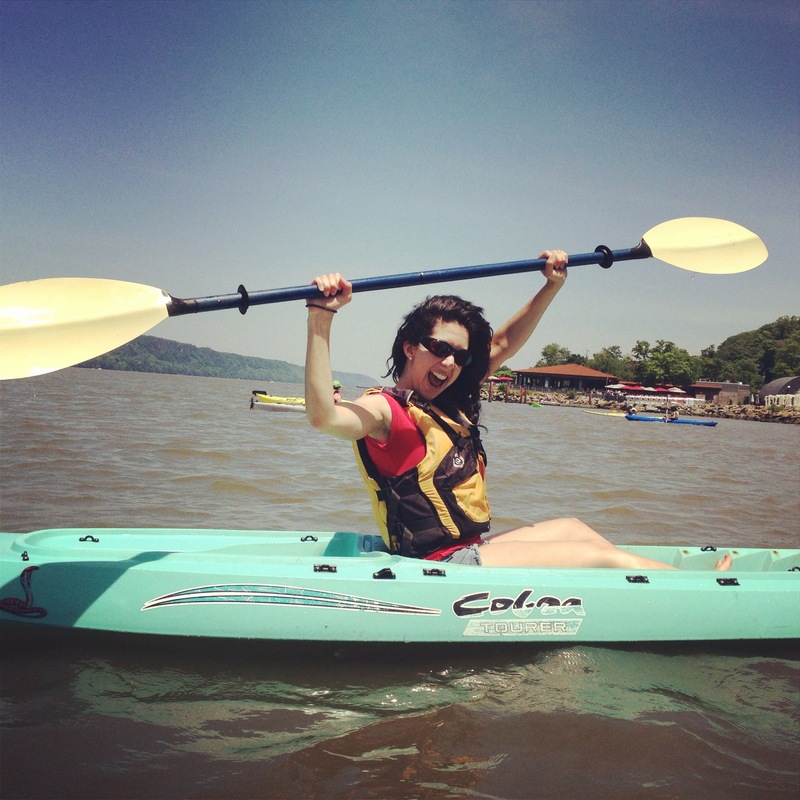 Kayaking & Hearing Aids: Si se puede! It has been TOO long, guys! I’m sorry I haven’t posted but I promise you I will not let this blog fade away. I’m really excited about sharing with you over the long haul. I remember finding a blog written by a pregnant woman with Usher Syndrome and being so disappointed when she stopped posting before the baby was born. It’s like you missed the ending to a good story. So…long story short, that’s not happening here! So let’s get to it. You may have noticed my title: kayaking & hearing aids! What’s going on here? 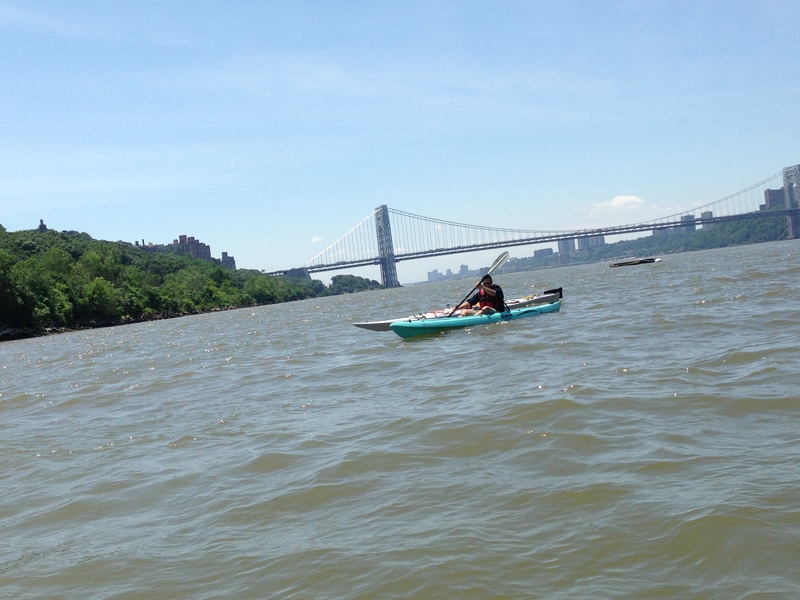 I have been kayaking 3 times, once in Beacon, NY (my favorite town ever), once in Costa Rica, and once in Inwood. I really enjoy it every time as it’s both a physical challenge and a mental challenge. You really have to strategize your strokes and figure out how to maneuver where you want to go. It requires a lot of effort to go against the current and forge ahead. I’ve always had to kayak without my hearing aids, which presents a challenge. I feel very uneasy about leaving my hearing aids on shore and also about having them in a watertight container on the kayak itself. Neither is ideal for me. My hearing aids cannot get wet and I wouldn’t want to risk losing or destroying them. Something else to consider is that if you’re kayaking with other people, you might not be close to them in the water and it can be hard to communicate. Yet, when you’re out there on the water, it’s as if you’ve conquered the world. It seems BRAVE and CRAZY to be on your own in a plastic contraption, rolling in the current. You look around you and the world looks different and shiny and brand-new. Majestic bridges, green trees, picturesque sailboats. It’s life from a different perspective. You’re small and yet you feel large in the moment. This kayaking high is what brought me to ask my audiologist at Helen Keller about waterproof or water resistant hearing aids. She asked me why I was interested, and I may have oversold my love for water activities (I don’t actually do that many). She was able to help me, telling me about a behind-the-ear hearing aid from Phonak that was highly water resistant. It was really exciting to hear about it. I don’t think this technology was around when I was a kid. I selected those hearing aids and now I’m just waiting for them to come in. I’ll review them once I get them. I can’t wait to try the hearing aids. I needed them this past weekend when I went kayaking on Sunday at the Inwood Canoe Club’s free weekly open house. Uptowners should definitely check it out. The current was a little all over the place and I had trouble hearing the leader. But I had informed them I wore hearing aids and someone stayed with me to help me navigate better. It was an absolutely beautiful day and it made me eager to go kayaking again soon. There is a really amazing MTA kayaking getaway deal that I’ve done before and highly recommend- would definitely do it again. My mother never let me wear high heels. She didn’t really wear high heels herself. I don’t think I ever saw her with a heel that was higher than 2 inches. When I got my first communion, the BEST part was that she let me get a pair of little white pumps. Ooh-la-la. They probably had a 1-inch heel, but I saw them as my first pair of real high heels. I was in love with them, trying them on in front of the mirror and click-clacking around the house. I remember thinking that as soon as I was grown up, I would wear high heels all the time and be a glamorous woman. Fast forward to today, and you’d rarely see me in a high heel, much less in a heel over 2-3 inches. Why didn’t I become the next Carrie Bradshaw pounding the pavement in luxurious stilettos? A couple reasons. Heels hurt after a while. I see both celebrities and regular women spending whole days or evenings in astronomically high heels, and I don’t get it. How do these ladies do it? Are they superhuman with special, nerve-free feet? Heels always hurt for me after a while, and I wear sensible ones! I like to dance. I can move better with shorter heels and I can last longer on the dance floor. I don’t have to teeter-totter and dance cautiously. I work at a non-profit with middle school students in an after-school program. As health coordinator, I want to walk the walk and model healthy behavior. You’ll often find me in workout clothes and high top sneakers, ready to join the kids in physical activity. Heels don’t really make sense in this environment. New York City destroys your shoes! Especially if you ride the subway and participate in mass transit. You’re walking a lot and going up and down stairs all the time. It becomes more challenging to navigate the city if you’re slowed down by heels. I have had to replace the tip of the heels on my favorite black heels 3 times. Next time, they’re finished. It might not even be safe for me. 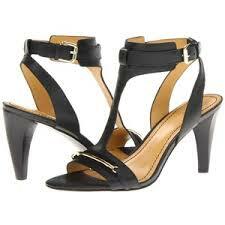 Since I have Usher Syndrome and experience vision loss like night blindness, heels seem dangerous. I could easily miss a step and twist an ankle. I’m not as confident walking around in heels and feel that they weaken my balance as well as my ability to recover from little trips and bumps. However, a girl can still look! Even though my practical side wins most shopping battles, I still love the way heels look and admire the people who wear them with confidence and poise (hopefully without ruining their feet). 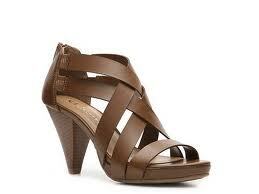 Here are some Nine West heels I find beautiful but would never purchase- their heels are too high. Not every pair of high heels works for a woman like me. But I believe I can wear some heels and should have options in my closet. I still want to be that glamorous woman sometimes, preferably in a stylish stacked heel instead of a stiletto, with ankle support, and more straps to keep your foot in than less. Is that too much to ask? Here are my favorites from some recent online browsing. No purchases have been made yet. Your feedback is welcome! 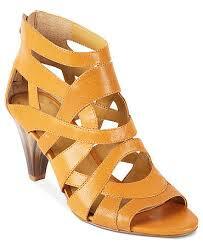 Nine West Curri– Carmelita yellow is on sale! CL by Laundry Wild Party– I think brown looks better than black. I’ve never bought a shoe from this brand before though. Not sure if they are comfortable. You know the feeling. It’s usually a work night. You made plans or signed up for an event but you don’t feel like going anymore. You’d rather go home and veg out. You’re in that moment of whether to cancel or go. Tonight I was in that exact position. I was scheduled to join a dinner of some old college classmates who all took courses with the amazing Tony Brown.When I left work, it was drizzling. I hesitated for a moment and really considered going home to relax. Why did I want to cancel? It was mostly about my hearing and vision loss. I didn’t want to deal with figuring out where the restaurant was, walking in the NYC crowds in midtown, finding the table in the restaurant, and trying to hear in a group conversation. These small things can be a frustrating challenge for someone like me. Sometimes it feels like it’s easier to just stay home. However, this blog is one of the reasons I decided not to throw in the towel on this evening. I have been writing about living with Usher Syndrome and being a Latina who overcomes obstacles. I’ve heard some wonderful & encouraging comments from everyone. And I want to live up to my words. Going home would be giving up. There are times in the past when I have probably missed out on great experiences. So I went. What ended up happening? The crowds weren’t bad (rain kept other people away! ), the restaurant was very well lit and almost empty, it was super easy to find the group, I sat next to a friend, and I heard about 70% of the conversation. Who knew? It went much better than I expected- I think I learned my lesson. It’s too easy to stay home, and I know it’s not in my character to do so. I love socializing, enjoying the city, and being active. I don’t ever want to let Usher get in the way of that. Life is short- we have to enjoy it! Bonus: I highly recommend this Lebanese restaurant, Byblos, to all hearing impaired and vision impaired individuals in the NYC area. There was no amplified music, so it was very quiet. There were no steps and it was well lit with space to move around the tables. Food was delicious and the prices were reasonable too. When I first got hearing aids at 4 years old, they were NOT cool. I forget what style they were, but I remember wearing something around my neck and a clip on box. Yikes! Later on I got flesh tone behind-the-ear hearing aids. I still felt a little different and a little self conscious about it. But I was a kid, and I adjusted. Eventually, my hearing aids became just another accessory I wore like a watch and earrings. There are many annoying things about having hearing loss. Sometimes, it seems like you say “What?” ALL the time. But all the annoying and negative things are out the window today. I think there are actually some unexpected perks and advantages to hearing loss. 1. You have an excuse to get close to interesting people- singles, pay attention! You might be at a bar or at a party or on the dance floor. You might be on an actual date. Since you wear hearing aids, you have an excuse for sitting closer to them and leaning in, or even talking into each other’s ears on the dance floor. 2. You can mute the world at will. Too loud? Witnessing a relentless argument? Can’t sleep on the plane? Tired of noise pollution? Just take your hearing aids out or turn them off. So simple and easy! Others might actually be jealous of the ability to do this. 3. You can always claim you didn’t hear. Good for getting out of sticky situations. You were supposed to take out the garbage- you didn’t know! You were supposed to turn in the report today- you didn’t hear that! The discount expired- nobody said it! Who can argue against you? Do you have any stories about these perks of hearing loss? Any more to add? Recently while I was trying out my white cane for the first time, I was wondering how people would react if they saw me move my head around or step over an obstacle. They might think I was faking my vision issues. They might not understand that using the white cane does not necessarily mean that you are 100% blind. Before Usher Syndrome, I would not have understood either. 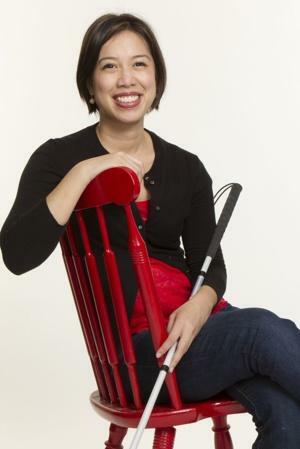 I didn’t know that there was such a wide range of vision loss that people could experience and still use a white cane. This issue came up with the amazing Christine Ha, Season 3 winner of the tv show Masterchef. Christine won the whole show (her cookbook is out now) and she’s blind. She was hailed as an inspiration and definitely deserved it. She was a class act! Her being on the show put her in the public eye and people seemed to have a lot of questions about her condition. A good article came out in EW explaining that she’s not totally blind. It was extremely informative and basically explained her vision loss without undermining the incredible nature of her accomplishment. I’m not showing this comment to be negative- I’m showing it to emphasize that more awareness is needed about vision loss and blindness. Everyone needs to understand that blindness is not black and white and that you can be classified as blind while retaining some limited aspect of vision. Christina Ha is a talented individual who entered a competition and won. I think most people were amazed at her ability to cook at a superb level and actually compete with everyone else. She helped to raise the profile of blindness and I think the conversation she generated is very positive and helpful. And I hope to also raise awareness through this blog!